Wendy looks like a sweet mermaid princess... perhaps she is The Little Mermaid! Wendy is 8 inches, made of vinyl and fully-articulated with jointing at her neck, shoulders, elbows, waist, hips, and knees. Her rosy cheeks and pretty green eyes are framed by a auburn wig styled in long beautiful curls. 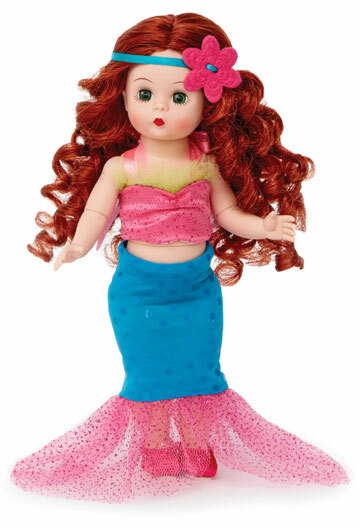 She wears a darling blue and pink mermaid costume with pink slip on shoes to complete her look. 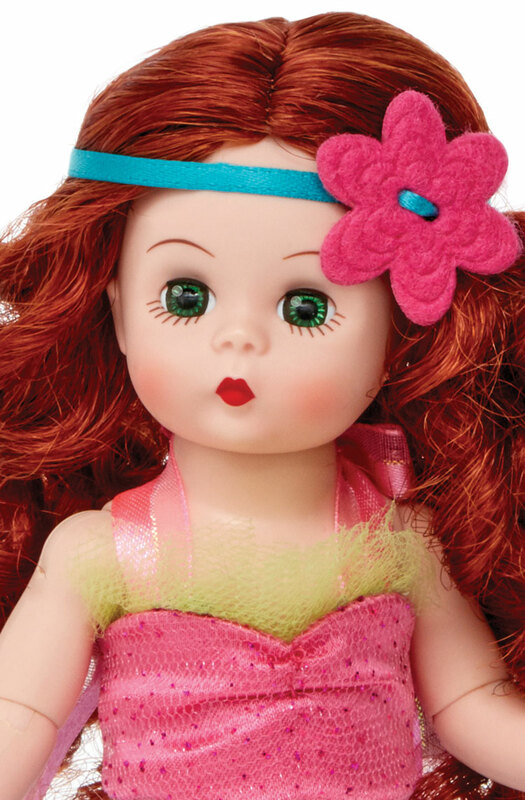 Mermaid Princess 75100 is part of Madame Alexander's Storybook Collection. Suitable for ages 14 and up.